Located on Florida’s northeastern coast, St. Augustine’s history dates back to 1565, which means it is the oldest city in the United States. It is home to mythical relics and impressive structures like the Fountain of Youth and Castillo de San Marcos military fort, as well as dozens of modern bed and breakfast businesses – some of which, including Carriage Way Inn, have centuries-old histories of their own. We spoke to owner and hospitality enthusiast Michaele O’Neill about Carriage Way Inn’s past and present, how her team keeps the inn running smoothly, and what to expect at a bed and breakfast as a first-time guest. 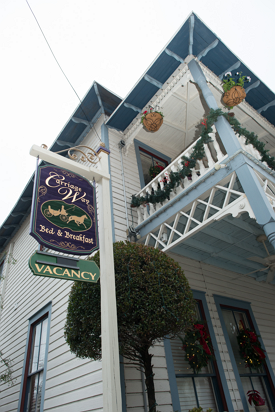 Carriage Way Inn’s Victorian structure was first built in the mid-1880s as a private residence. After spending 50 or so years as an apartment building, it was ultimately converted to a bed and breakfast in 1984. 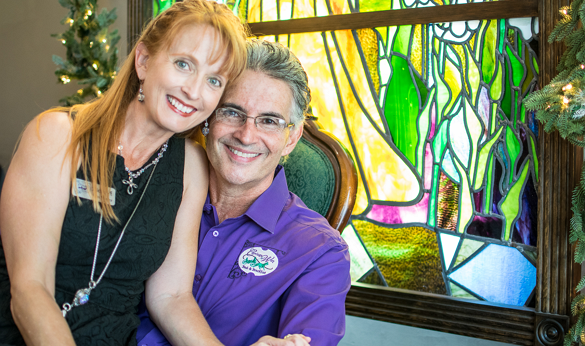 Michaele O’Neill and her husband, Julio Torres, became the inn’s third owners in 2013. O’Neill knew a bed and breakfast would give her the opportunity to offer guests personalized hospitality that isn’t feasible at larger operations. The couple found Carriage Way after spending two years looking for the right bed and breakfast in the right location. Michaele and Julio, Owners of Carriage Way Inn. St. Augustine, which has a population of around 14,000 people, gave the family the change of pace they wanted, and Carriage Way Inn – nicknamed “The Jewel of the Ancient City” – proved to be a great fit. 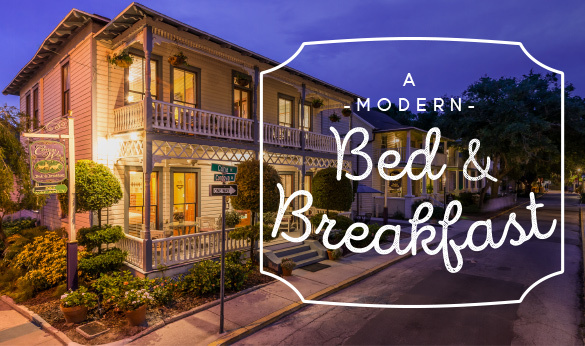 The bed and breakfast has received recognition as the “Best of St. Augustine” two years in a row, but O’Neill says that connecting with every guest has been the real reward. One of the biggest misconceptions many first-time guests have is that inn owners live on the premises, but O’Neill says that isn’t usually the case in vibrant markets such as St. Augustine. By her estimation, only one inn out of 26 has an owner living on-site. The exterior of Carriage Way Inn. Since each one is unique, choosing to stay at a B&B for the first time can be intimidating, but O’Neill enjoys being able to introduce new guests to the amenities provided at a modern bed and breakfast. “We love having first-time B&Bers, because we get to open their eyes to a totally different experience from a box hotel,” O’Neill says. “We have on-site parking right in our back yard, which is highly unusual in St. Augustine. Another amenity is Chef’s Choice, a hot breakfast each morning when you wake up. Every afternoon, we put out a fresh-baked sweet treat [like] miniature homemade cupcakes, chocolate chip cookies, or brownies. Our bistro dining room is opened to guests literally 24/7, and it is fully stocked [with] Coca-Cola products, three kinds of wine, eight kind of hot tea, coffee, [and] bottled water. 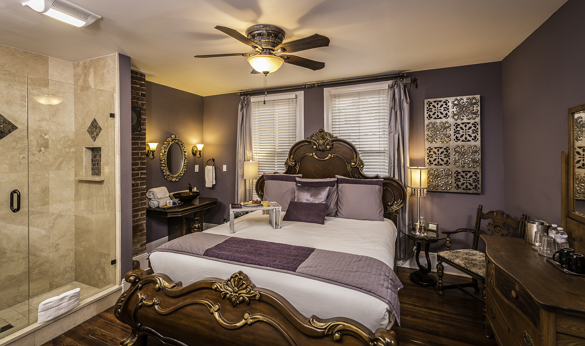 O’Neill describes Carriage Way Inn as “more like a boutique hotel” because it has 14 guest rooms that each include en-suite baths and five guest rooms with private entrances. A room at Carriage Way Inn. The bed and breakfast is manned by hardworking part- and full-time staff members who have been a part of the Carriage Way team for years. That “very personal” check-in process includes aromatherapy towelettes, welcome drinks, restaurant and entertainment recommendations, and a customized map of St. Augustine to ensure guests know how to get to every item on their itinerary.